President Trump, meeting with members of his Cabinet on Tuesday after pushing for his long-promised border wall at his first campaign rally of 2019 in El Paso, Texas Monday night, expressed his displeasure with a border funding agreement reached by Republicans and Democrats in Congress. The president added he doesn’t think there will be another government shutdown, but if there is, it’ll be the fault of Democrats. At his rally Monday night, the president again argued for the construction of a wall along the U.S.-Mexico border by railing against illegal immigration and falsely linking undocumented immigrants to disproportionate crime. He also accused Democrats of endorsing “open borders” and criticized the “far-left” for efforts to defund or abolish Immigration and Customs Enforcement. 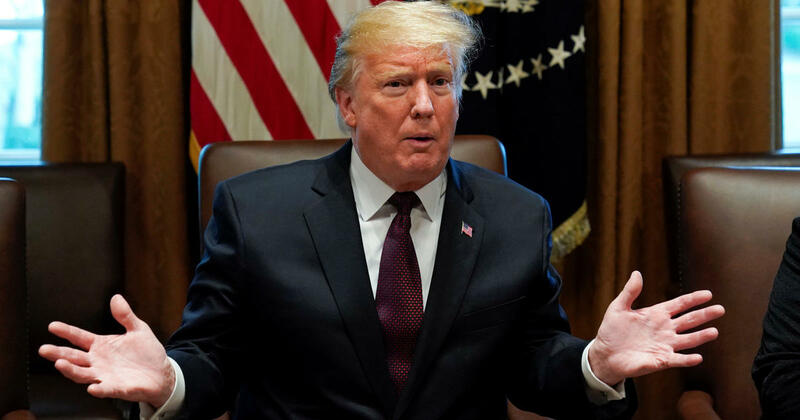 The president meets with administration officials after a bipartisan group of lawmakers, after hours of deliberations, announced that they had reached “an agreement in principle” on legislation to fund the government past the Friday deadline and avert another government shutdown. It’s unclear if Mr. Trump will sign onto the deal, which includes $1.375 billion for physical barriers and a reduction in overall ICE detention beds from the current 49,057 level to 40,520, according to a congressional aide. Two senior administration officials said the White House was waiting for the details of the agreement. Camilo Montoya-Galvez contributed to this report.